After that last monstrously long post, I figured something light was in order. So here are a few recipes that I’ve made recently. they are cheap. Like many cheap recipes, they can be rather unhealthy. The first is probably one of the worst, but it’s a treat. The other two, it’s not hard to see where to adjust them to make them better. Wrap wedges with bacon and place on rack in baking pan. I used a broiler pan that has the separate slotted top. Bake for 40-45 minutes or until done to the crispness you like. The potatoes cook well but don’t brown much. I might brush or spray with veg oil to help that along next time. The recipe recommended dipping these in warm cheese dip. 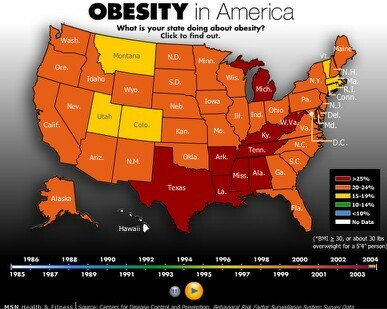 Now we can all say “Holy cripes, no wonder we hear about obese Americans.” Yep, no kidding. I suppose it’s just as well that I had my gallbladder removed (containing an inch-diameter “stone” of cholesterol) when I was in college, when eating things like this. Of course, my gallbladder likely gave up *because* of eating things like this. Trust me, you don’t *ever* want to have a gallbladder attack. I have had nothing so painful, not even a tooth abscess. Pennsylvania is not noted for light and fresh cooking. No, we are mostly northern European background and very much go for the starches, preserved meats and fats. I’m trying not to be the plump American (happily not obese) and have gotten myself a workout DVD. May I just say that Jillian Michaels is an evil woman, effective but evil. 🙂 I could hardly walk after the first day of a beginner 20 minute exercise. And I walk at least three miles every day. Yeesh. So, these are a treat, not something you should make a diet out of. Another recipe is pretty much a variant on corned beef, cabbage and potatoes. It consists of green beans, potatoes and ham. At least we have a little more veggie in there. Unfortunately, a lot of people make this with canned beans. They also used to serve it (and perhaps still do) at Hersheypark, the amusement park based around Hershey chocolate only a few miles from here. It’s claimed as a Pennsylvania Dutch recipe (which is not Dutch at all but a mispronunciation of “deutsch” aka German). Boil ham hock until tender in about 3 quarts of water. Keep the broth it made and pick off the meat from the bones. Return meat to broth and bring to the boil. Add potato and beans, cook until potato is soft. Not too bad for you. My husband hates green beans so this is something I make only for myself. Note that the meat from the ham hock is tougher than what you generally get from a ham. Fry cabbage in butter and oil. It’s typically cooked until translucent, but I have a taste for browned cabbage and will let it cook until I get dark brown bits on the cabbage. Then toss together. That’s all from the kitchen for now. Eat well!